Neil started his comedy career in Scotland 14 years ago, where he remains a regular act at the highly-regarded Stand Comedy Clubs in Glasgow & Edinburgh. He now performs in locations across the length and breadth of the British Isles, attracting widespread concern, and has also entertained international audiences in places as far-flung as Tenerife, Croatia, Serbia, Slovenia, Romania, the Czech Republic, the two Channel Islands you can actually get to, Florida, California and Kent. Neil reached the Scottish regional final of the BBC New Comedy Awards in 2001, so technically that means he's been on the telly (for the 7 people who had BBC CHOICE at the time). If you really want to stretch the point, he's also been on '15 to 1' twice, and has the dubious honour of being the only contestant in the show's history to have been told off by William G. Stewart for slouching. 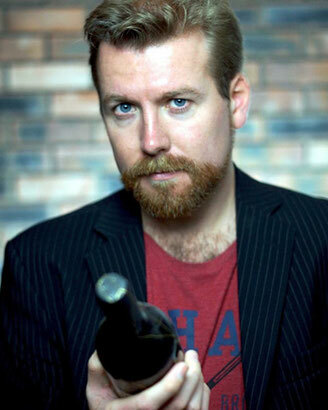 In 2006 Neil came third in the Scottish Comedian of the Year competition and performed his first, sold-out, one-man show, 'Posh Glaswegian', at the Glasgow International Comedy Festival, followed by his first full run in the Gilded Balloon at the Edinburgh Fringe; and his first solo show outside Scotland, at the Manchester Comedy Festival. He moved to London to become a full-time comic in 2009, and March 2010 saw his fourth solo show at the Magners' Glasgow Comedy Festival, entitled 'Neil McFarlane is Still in Search of a USP'. In 2013 he performed 'Neil McFarlane's First Period' at the Bath Comedy Festival and the Brighton Fringe. In 2012 Neil was a finalist in Jongleurs Comic Idol competition. Regarding non stand-up experience, in March 2008 as an actor Neil played role of Sandy Johnstone in 'Death of a Critic', a play by Keir McAllister produced at the Ramshorn Theatre as part of the Glasgow International Comedy Festival. ('Really rather good'. ROBERT DAWSON SCOTT, THE TIMES). Since school, his acting experience has covered Shakespeare, comic monologues and sketches, a satirical revue and comedy play with music at consecutive Edinburgh festivals, and a range of acting across all media including broadcast commercials, as well as a modicum of corporate voice-over and presenting work. He's also contributed to Fred MacAulay's show on BBC Radio Scotland, not to mention the 'Alternative Sandwich Show' for SubCity Radio in Glasgow. Neil McFarlane has had all his jabs and frequently keeps his clothes on. Allow him gently to divert you from the horrific truth of your own existential plight and occasionally use the word 'seepage'.